Unique insecticide and repellent that controls over 30 common insect pests. Use on trees, shrubs, ornamentals, and flowers. 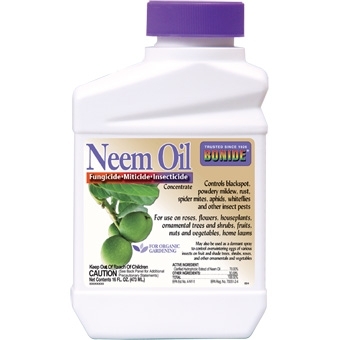 Neem disrupts hormonal balance. Insects die before molting to next stage. Best used for eliminating catepillars. Potassium salts derived from Neem seed oil fatty acids. 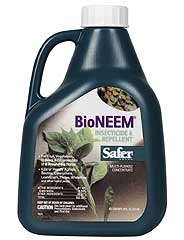 A fabulous combination insecticidal soap plus Neem. 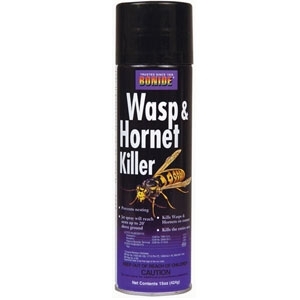 Highly effective on an extensive array of insects. Ideal for use on houseplants, herbs, vegetables, nuts, fruit, flowers, trees, lawns, roses, shrubs. Indoor/outdoor, water based, certified organic, use up to day of harvest. Not for sale in CT and NY. Insecticide plus Fungicide; A specially formulated, completely organic, general purpose product designed for convenient consumer use as a dust or spray on vegetables, fruit and flowers. Colored green to blend with foliage. Insecticide plus Fungicide; A specially formulated, completely organic, general purpose product designed for convenient consumer use as a dust or spray on vegetables, fruit and flowers. Colored green to blend with foliage. Not for sale in RI. 1 percent RTU. Potassium Fatty acids Kills insects on contact. 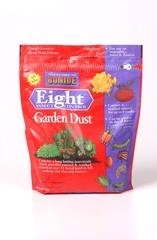 Great for houseplants, vegetables, flowers, fruits. Two way triple action: Insecticide Miticide Fungicide/Kills eggs, larvae and adults! Prevents and controls black spot, anthracnose, rust, scab, blights---stops powdery mildew in as little as 24 hours! Kills all life stages of aphids, mites, scale, whitefly, beetles, leaf rollers---For use on roses and flowers as well as fruit, nuts, vegetables, herbs, spices, houseplants, trees and shrubs. Two way triple action - insecticide, fungicide - miticide/kills eggs, larvae and adults! Prevents and controls blackspot, anthracnose, rust, scab, blights--stops powdery mildew n as little as 24 hours. 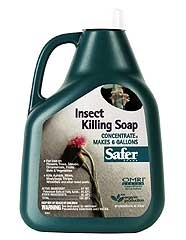 Kills all life stages of aphids, mites, scale, whitefly, beetles, leafrollers. 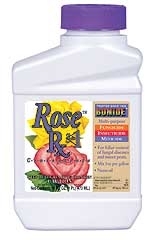 For use on roses as well as fruit, nuts, vegetables, herbs, spices, houseplants, trees, and shrubs. May be used indoors. Easy on beneficial insects. Not for sale in IN. Permethrin 0.125 percent; An outstanding vegetable garden insecticide - killing and repelling virtually any insect pest common to home gardens. Also great for Japanese Beetles on roses and flowers. Colored green to blend with foliage! Short days to harvest intervals. Use on houseplants, ornamental foliage plants, flowering plants and fruits and vegetables. Kill aphids, mealy bugs spider mites and w whiteflies. Insecticidal soap dries out the waxy outer skin of insects.